Get Healthy. Save the Earth. Take the Stairs! Let's make the healthy choice, the easy choice! 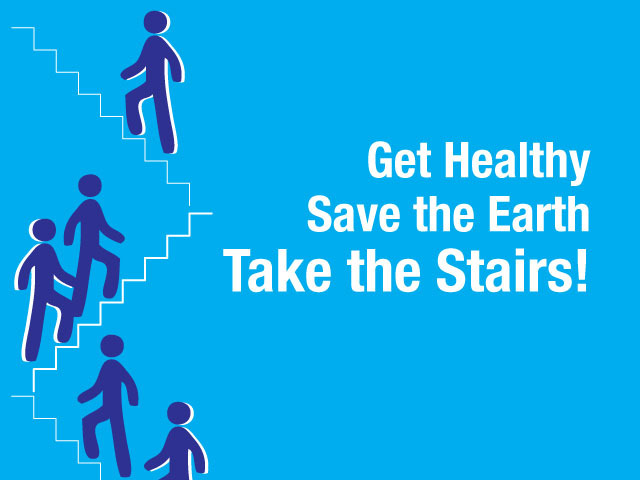 Stairs not only promote physical activity, health and wellness, but also provide a greener alternative to taking the elevator. This breakfast is a local kick-off for a state-wide initiative called Stair Week which is about encouraging people to make the choice to take stairs and understanding the impact that a simple choice can have on one's health. Click here to view the signed Proclamation by Governor Rick Snyder.